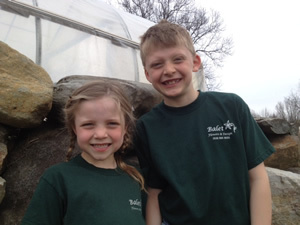 The Balet family has sold local farm products in Saratoga Springs since 1978. 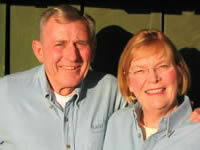 Peter and Marie (along with the help of their children John and Suzanne) produced vegetables and smaller crops of cut flowers and sold them at the Saratoga Springs Farmers Market since 1978. 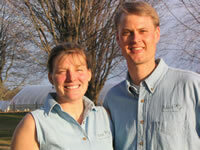 In 1995, Suzanne came back to the family farm with a horticulture degree from SUNY Cobleskill/Cornell. 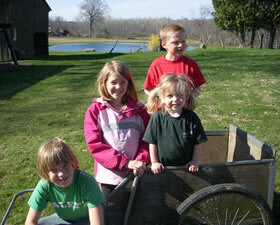 Suzanne transitioned the farm to bedding plants, vegetable and herb plants and cut flowers. Today, Suzanne, her husband David, son Andrew and daughter Julia, and a team of helpful co-workers sell their flowers and plants at the Saratoga Springs Farmers Market and their greenhouse in Malta. The greenhouse and 5-acre flower farm is bustling with activity beginning in February extending through the summer growing season until the winter holidays in December. Over 150 annual varieties, 200 types of perennials (including many shade types) and 80+ varieties of vegetable and herb plants are produced at the greenhouse and flower farm each year. Most of these plants and flowers are sold directly to customers. Select varieties of cut flowers are sold to a local wholesaler who resells them to florists in New York and neighboring states. Balet Flowers & Design also specializes in creating elegant floral designs with a unique country flair. Suzanne has worked for over 10 years with wedding parties customizing designs to meet their personal tastes and budgets. Each year Balet Flowers & Design produces floral arrangements for events at places around the greater Saratoga region such as the Canfield Casino, Sagamore Resort, Hall of Springs, Museum of Dance and Saratoga National Golf Course.